Focus Hit Producer Drums - Download Drum Samples From Platinum Music Producer Focus Himself! 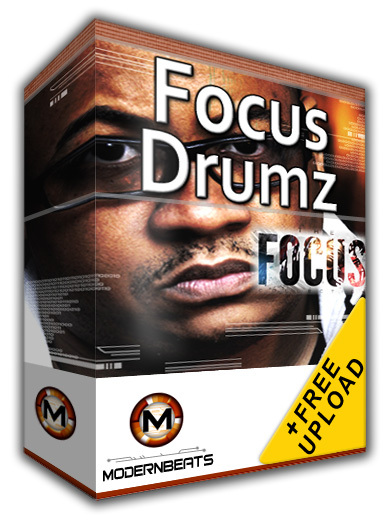 Focus Hit Producer Drumz comes packed with 20 Kicks, 30 Snares/Rimshots/Claps, 30 Percussion Samples/FX (Hats, Crashes, Hits, Stabs, Fills, Percussion, Live Bass, Horns), plus 20 Loops - All directly from Focus himself! Plus, ModernBeats has added another 105 VIP drum kit samples and 100 Reason Malstrom bass patches (Play Bass Demos: Demo 1 Demo 2) perfect for modern hip-hop, club, & dubstep music production. All samples are provided in WAV format. Compatible with FL Studio, Ableton Live, Acid Pro, Logic Pro, Cubase, Reason, & Pro Tools. Now is your opportunity to produce your own original beats using the drum samples & sounds of platinum producer Focus, producing for Busta Rhymes, The Game, Stat Quo, & more. Get modern, get modern with ModernBeats.com - Start producing hits today!